The study by the Langford History Group, Every House Tells a Story, includes details about the Mazuchellis. Francis Felix Maria Fortunatus Mazuchelli was Preb. Scarth's curate at All Saints' Church from 1877 to 1885. He and his wife Sarah Elizabeth lived at the house then called Hylsebroke, now Milfort in Lower Langford. Much data on the Mazuchellis was gathered by Bath speleologist Dr Trevor R. Shaw OBE and this was completed by Jill Hale who wrote the chapter on Milfort/Hylsebroke. Francis was born in Milan in 1821 and emigrated to the United States. He was ordained into the Roman Catholic Church by the Bishop of Milwaukee in 1845. In 1849, he was awarded a Doctor of Divinity degree at Mount St. Mary's College, Maryland. By 1853, he had returned to Europe and left the Church of Rome. We know this because in that year he married Sarah Elizabeth Harris in Geneva. The couple returned to England, where Francis took on various curacies before becoming Assistant Chaplain in H.M. Indian Service in Calcutta in 1857. He served in India for 20 years, before coming back to England to become Curate in Wrington. During their time in Wrington the Mazuchellis made another pioneering journey, this time in the High Tartra and Carpathan Mountains of Central Europe. Once again, Nina wrote an account of their travels2 . It was her description of their visits to limestone caves in these regions that attracted Dr. Shaw's attention to the couple. In 1889, Francis became Vicar of Felmersham in Bedfordshire. 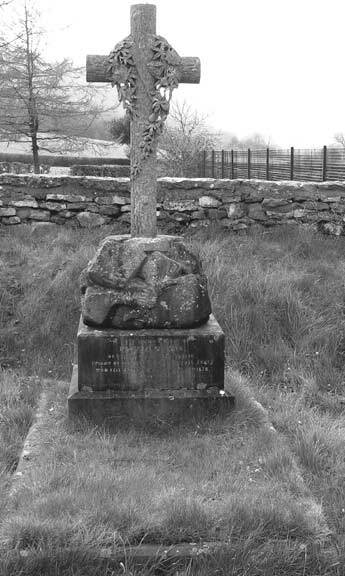 He served there until 1895, when the couple retired to Nantgaredig near Carmarthen. Francis died in 1901 and Nina in 1914. 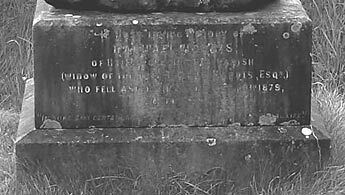 Both are commemorated on a memorial stone in the graveyard of Holy Trinity Church, Burrington. 1 'The Indian Alps and how we crossed them, being an account of two-years'  residence in the Eastern Himalayas and two-months' tour into the interior', By a Lady Pioneer, (London, 1876).